The winds are picking up here to the point if I didn’t know what was coming in, I’d think we had a pretty bad fall Nor’easter coming through. I’ll keep posting updates here as long as we can power the blog. The good news is the sump pump is hardly working rather than working hard as it did in Irene. We have water coming in, but slowly enough I am certain the backup pump can keep up. My big concern is now trees, and I believe that will remain my chief concern. We have a very small lot, but we have a lot of trees. Several red maples, and a Sweetgum tree. Some of them could damage the house if they came down, or damage a neighbor’s house, which wouldn’t really be any better. But, most importantly, the beer is still cold. I repeat, the beer is still cold. We have not yet begun to panic. I’ll keep updating this post from time to time throughout the day. If we do lose power long enough we can’t power the blog, we’ll keep updating on Twitter and Facebook, the links to which you can find on the sidebar. UPDATE: 11:35AM. Still mostly a typical fall storm. I’d still be unconcerned if I didn’t know what was coming. The real fun begins in the afternoon. UPDATE: 12:31PM. Situation largely unchanged. The beer is still cold. I just got a good strong gust that made the house creak a bit. 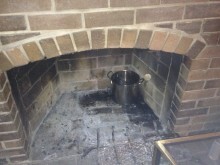 I’ve never liked it when that happens, but I’ve been in wind storms in this house before where the house groaned a bit. UPDATE: 1:36PM. Wind is picking up a bit. Still not scaring me out of my pants yet. But I’m starting to nervously eye one of my red maple trees. UPDATE: 2:43PM. Wind still picking up, but not unprecedented yet. Water is picking up. The basement is getting wet, but the pump still isn’t working remarkably hard. 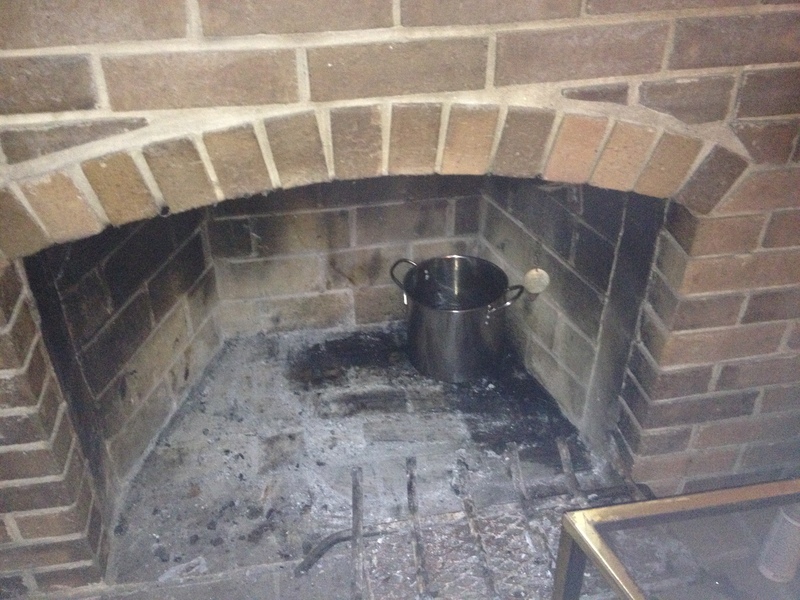 I had to put a pot in the fireplace. The wind is whipping the rain under the cap. Power still on. Been listening to the local news radio station off and on. Mass hysteria! It’s the storm of the century of the year! As you can see above. UPDATE: All state liquor stores closed today at 3:00PM due to hurricane. It may now be time to panic. UPDATE: Giant cranes and hurricanes don’t mix. UPDATE: Here’s a great resource for tracking winds. We’re almost at the peak. I’ve seen winds like this before. It’s not bad yet. Rain has been not very bad yet either. UPDATE 4:36PM: This is from Bitter: We have been listening to radio by internet, and we’re now hearing our local creek as one of the likely to flood areas, and the residents around there were given a mandatory evacuation order a few hours ago. We’re far up hill from there, so that water isn’t a concern for us. They also report that heavier rains on their way. While there are elements about Sandy that are worse than Irene and elements that are better, I’m most appreciative of the fact that it’s happening during the day instead of the middle of the night like Irene. UPDATE: 5:02PM: Power just went out for a few seconds and came back on. On the bright side, I pulled my dad’s old electric chain saw out of the shed, which hasn’t worked for a while. The motor and the gearing all work fine. I think it just needs to be cleaned up a bit, and it’ll be in good shape. Hopefully we won’t need it. UPDATE: Power continues to be a little flaky. UPDATE: 6:23PM: It’s dark now. The wind is blowing pretty good, but not unprecedentedly so for here. The problem for the trees is this is going to go for a while, compared to a normal winter or fall storm. We’ve cracked out the pepperoni and sharp cheddar. Power is doing OK.
UPDATE: 7:00PM. The National Hurricane Center has now reclassified Hurricane Sandy as Post-Tropical Cyclone Sandy. This means that Sandy is no longer a tropical cyclone, and is out of the NHC jurisdiction. She has been consumed, and will now turn into a Nor`easter, or Naw`eastah for those of you in New England. UPDATE: 8:05PM. Winds have now picked up a good bit now, getting into unusual territory. This is as bad as I remember the Halloween Nor’easter of 1991. Lights are flickering, I’m seeing blue fireballs appearing nearby. Watching trees very very nervously now. UPDATE 9:15PM: I get annoyed by all the attention on NY while many other states are taking a big hit from Sandy as well, but I have to admit that it is news when the subway system used by so many millions is now being flooded by four feet of seawater (so far) and there are reports that it could be out for a week. UPDATE 9:38PM: NJ is getting hit hard. Gov. Christie has promised kids that he’ll sign an Executive Order to reschedule Halloween in case it’s not safe for them to go out on Wednesday. 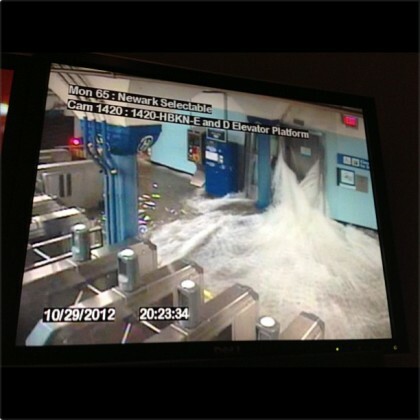 In the meantime, these are two reported photos from Hoboken – one from a PATH station and the other on a street there. UPDATE: Con-Ed offers us from fireworks in Lower Manhattan (About 18 seconds in). I was reading about New Yorkers dismayed because ConEd was preemptively shutting off power to Lower Manhattan. People: your lines are buried. When the high voltage, high-capacity main transmission trunks end up under seawater, bad things are going to happen. They are right to be preemptive. UPDATE: 11:13. All this tree watching is tiring. We were up early this morning. So far I’d rate this as a replay of the 1991 Halloween Nor’easter, also called “The Perfect Storm.” My experience has been far too boring to write a book or make a movie about. 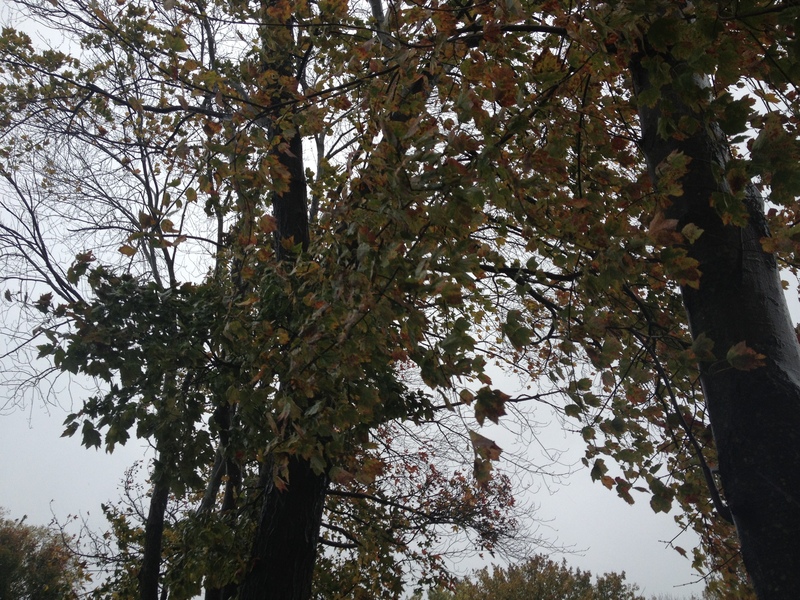 I am hoping it stays that way, and tomorrow all my trees will still be upright. We well return to our normal blogging schedule tomorrow in that instance. Northern people make me laugh. This is only a category 1 storm, barely a hurricane. Down here in Florida, no one but the press worries until category three. I am not worried for my safety. I am worried for my basement, and for my trees… and since I’m worried for my trees, I’m also worried for my house. I’m also really hoping I don’t drop another tree on the neighbor’s house, which is what happens the last time winds around here topped 70, which they are expected to do for this storm. Aw. Come on, seriously? That old trope? Southern people cry “Snomageddon!” when the temps dip to freezing and a few flakes of snow fall causing the streets to ice up. What’s your point? That different areas cope with different types of weather differently? Well, duh. Media hype and scare mongering is one thing but in this case, reality needs to be headed. The NYSE doesn’t just close its doors for random weather. Last time it did was for Hurricane Gloria in ’85. This is a dangerous storm due to the area it’s hitting – lots of trees, lots of people, lots of buildings – who don’t often see storms like this (Nor’easters are a different beast). Its vast wind field spanning about 1000miles, its storm surge that’s being pushed into a choke point full of long thin, bays during high tide, and a massive cold front that’s being absorbed that’s already causing intensification and is predicted to cause temps to dip to freezing or below with wind chill. All that makes it a dangerous storm, not it’s category classification. Most experts are saying that even if it doesn’t flood NYC subways (~50% chance now), it’s still a historical, fascinating, hybrid system that if models pan out, could cause billions of dollars in damage. Thank you for pointing this out. It’s so true. Consider that Connecticut does know how to do snow removal very well and, yet, Sebastian’s aunt & uncle were without power for a week last October because of the fact that leaves on the trees made an otherwise reasonable storm a major problem. It’s the timing and path of this storm, as well as the mix of storms that’s going to cause a problem. I saw on a map of snow predictions that pretty much the entire state of West Virginia better not expect to leave their houses for days. It’s going to hit different places in very different ways, but all manners that will likely result in lost power, inaccessible roads, and some forms of property damage. I’m over 400 miles due west from the Outer Banks of NC. Even still the wind has been strong all day (25-30 mph) and we are expecting gusts of 65+. The temp has dropped overnight into the 30s and it is expected to drop into the 20s this week. We may get 2″ of snow tonight or tomorrow which is way early for us. This just goes to show just how large a storm Sandy really is. You’re getting the wind and so am I hundreds of miles south and west of you. Sounds like when this storm started getting consumed by the low pressure system, it took all the energy that’s normally concentrated around the eye, and spread it far and wide. So we’ll get 65-75 gusts with sustained winds of like 40-50 across a very wide area… rather than a very severe hurricane over a smaller area. Last I heard (a while ago) it was 937.5, which at that time made it the strongest ever recorded north of Cape Hatteras, stronger than the 1938 “Long Island Express”. This isn’t a typical hurricane, though, and is now transitioning into something else from what I read. The people who drown in storm surge don’t particularly care if it’s Cat 1 or Cat one zillion, they’re just as dead. Right now Brendon Loy, the “Weather Nerd”, is watching the relevant NYC gauge trying to guess if it’ll get about 10-11 feet (watch the green line), in which case flooding will be severe. A speedup plus a slightly leftward of expected path just might save the city, but it was looking bad not long ago. 1. Place beer in cooler of your choice. 2. Locate you back up fire extinguisher. 4. Close lid to cooler, Threat averted! And no wind to speak of yet in central PA.
Down her in MD we have lots of rain. Since last night it has just been steady. Of course my basement stairwell which we just put a new movable cover on is an issue since we did not cap the front. Bailed out 7 gallons of water after I put on a temporary cap on the front of the cover. Now it is almost dry in there. So we will probably loose a tree when the winds kick up. You gotta change your prepping. Dump the beer. Bourbon and wine work at room temp. Cheap beer? At a time like this? I would think a snifter of really GOOD brandy or even VO cognac would be in order. Take care, stay safe, best o’ luck! DC Metro area seems relatively calm. Some rain and wind but nothing major. No branches or trees down which is instantly anti-climactic considering the number that keeled last year. Sounds like you’re about 24 hours away from rogue biker gangs and Thunderdome gladiatorial battles. 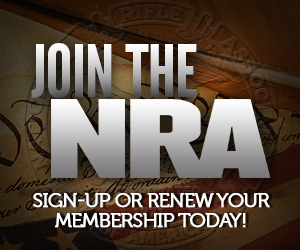 Hope you’re well stocked on Dinky-di and 12ga rounds. But seriously … God Bless and I hope it’s not as bad as the predictions. Keep your powder, and everything else, dry. Hope you folks don’t get hit too badly. Weatherman out here in flyover country is closely related to chicken little -“The sky is falling!”. I think they figure if they under-caution folks will be more angry than if they over-caution. Thing, is, they, and the rest of us, don’t really know what could happen. Be thankful if it isn’t the storm of the century. I remember when they told us the flooding in ’93(?) was a “500 year flood” and then we got hit just as badly in ’05 and ’08. Guess we’re covered for the next 1500 years. I’m going to check, too, by golly! I tried to call my distributor of casters for my telescope caster business this morning, and it kept going to voicemail. Then I remembered: they are in Binghamton, N.Y. No wonder no one is answering the phones. Conditions have worsened in the last two hours in So. NJ. Power reliability and quality suffer. Wind has increased and gone from NE to E. Hurricane “Sandy” – I fear tomorrow’s daylight will reveal a distressing LACK of sand at the Jersey Shore – at least where we wanted the sand to stay. I suspect we’re now getting those worsened conditions. The winds have really kicked up here. Central PA has gotten alot of rain, but not much more than normal winds, starting to get “windy” but again not more that “normal” storm winds, it is supposed to get worse wind wise overnight. Any word on Ocean City NJ? My Mom’s in a 3rd floor appt there, do they still have power? Heard they were getting a 8 foot storm surge, any verifications? 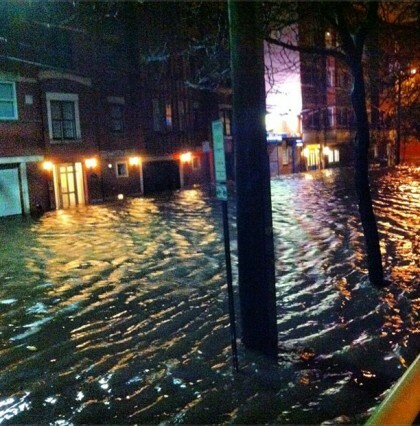 Here’s the main thing I found on Twitter: Flooding Photo from daytime. Well, here’s the good news. Word has it that Obama will chopper into NYC and do a photo op filling sandbags and handing out cucumber and brie sandwiches to out of work Wall streeters. All in an effort to “look presidential” and to pay back Wall Street for their support. Turns out his promise to “lower the seas” didn’t work out any better than any of his other promises. Up here in north central PA lots of rain and wind gusts to over 50. I’m less than a mile from the NYS border and 10 miles west of US 15, Tioga Co.
My sis and bro-in-law and nephews are just across the river. You two are with them in my thoughts. Blog is up, so you must have dodged serious issues. Same here. Southern Maryland has outages, but nothing like Irene. We never had issue at the house, other than some dips and brown-outs. Our area had fewer than 1/10th the outages of Irene at the peak last night, and that is less than half of what it was. The storm hit north of us, and that was most helpful. But so was the fact we have upgraded all feeders to massive steel poles that rise above the trees. I saw one street feeder (smaller unit) actually holding a tree (more accurately, the top two-thirds of a tree) that had blown into it during a tornado. Power was still running to those on the street. They started upgrading the southern Chesapeake area a few years ago. Smart. Of course, we’re an electric Co-Op and not BG&E, so that helps. Well, local weather says most of it is over here, and it didn’t live up to it’s hype here. Typical thunderstorm wind and several days of rain. Sounds like NJ and NYC were hammered badly. I trust you made it through the night. How is it with your and your neighbor’s homes?